A wildebeest ballet. Superb capture. Great timing !! Looks superb !! 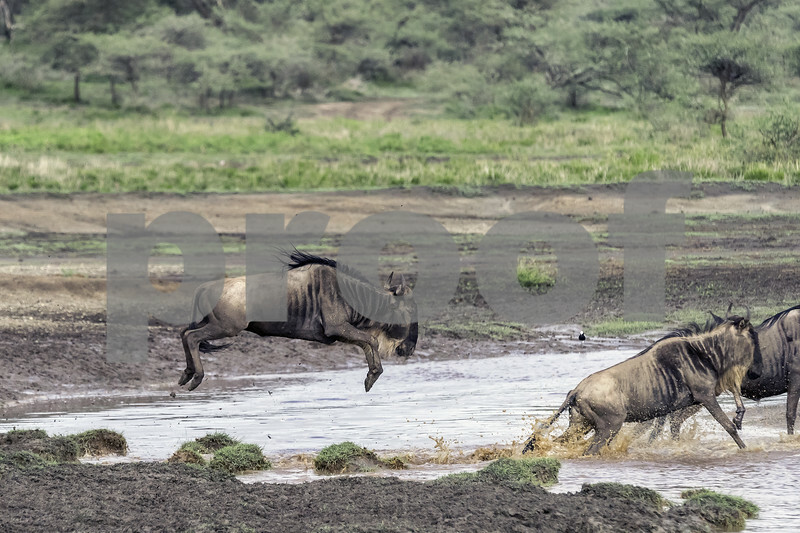 Wonderful timing to capture the wildebeest in mid-leap!